Hey guys, we have another installment of Retro Gaming Nerds! 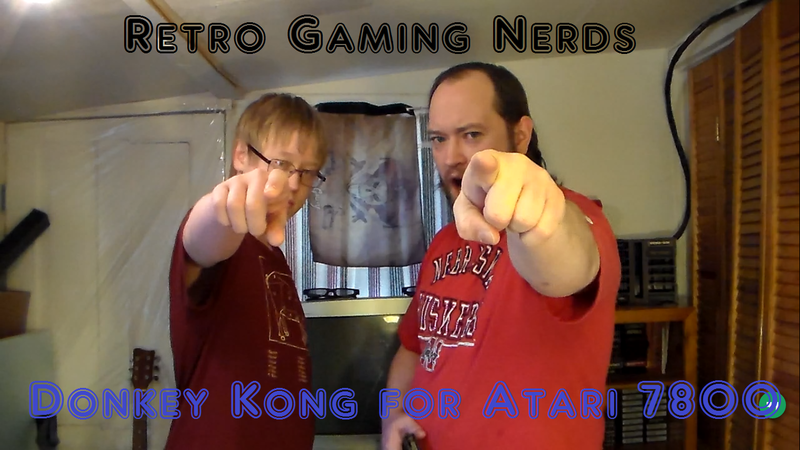 In this weeks episode, Adrian and Eric take on Donkey Kong for the Atari 7800. Donkey Kong, released in 1981 by Shigeru Miyamoto, is the arcade classic from Nintendo. This is the first introduction of Mario, even though he didn't officially have a name when the arcade first hit. He was unofficially named "Jump Man" by fans. The premise of the game has Mario attempting to rescue his girlfriend Pauline, who was kidnapped by a guerrilla named Donkey Kong. He climbs his way to the top of various structures, all the while avoiding barrels being hurled at him by Donkey Kong from atop the structure. Burning barrels also appear in the game, and slowly make their way up the structure following Mario.